Oh, dear. Has your daughter started asking the hard questions? Has she started coming home from school a little skeptical of the Easter Bunny? Not quite sure how a bunny could deliver all those baskets in one day. That was an easy fix, you brought her to the mall to meet the Easter Bunny. She was convinced. That worked for Santa, too. But you don’t think it is going to work for tooth fairy. It’s not like some guy dresses up as a giant fairy at the mall for kids to take pictures with. Although that might be hilarious. No you are going to have to get a little more creative if you want to keep your daughter’s sense of the magical alive for a little while longer (at least outside of Disney movies). No, the her belief in the Tooth Fairy can only be affirmed in one way. 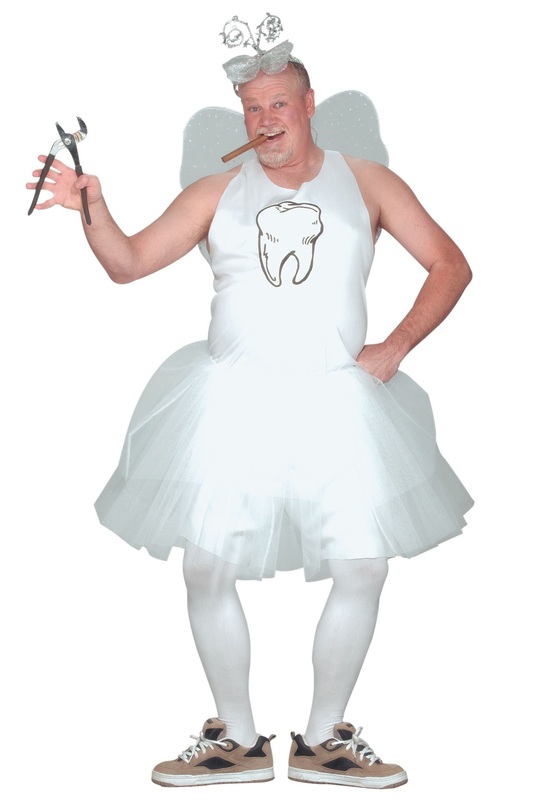 This Mens Tooth Fairy Costume is the only way. Your wife sure won’t do it. She insists that it is okay for your daughter to stop believing. But you disagree. She deserves her childhood for a little while longer. That is why you will put on the this white tutu. You are willing to wear those fairy wings, and even the star crown. All for your little angel. Besides you really want to keep her focused on these hard questions,instead of asking about borrowing the car, or if her date can go a little longer because she really likes this boy.